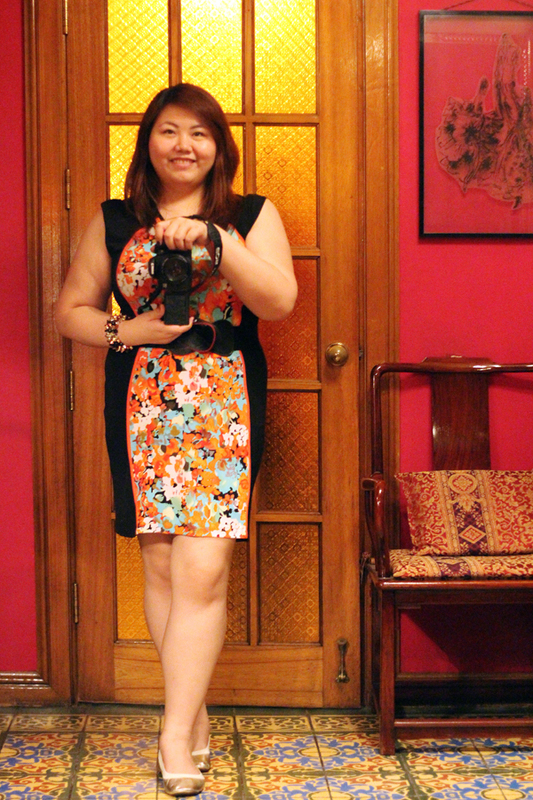 Don't you love a dress that not only hugs, but flaunts curves? I found this hidden gem of a dress in SM Department Store. What can I say, they've got it all! It's a far cry from the racks and racks of matronly clothes that used to be my last resort for school requirements. They've really improved on their selection of designs, cuts and styles, especially to show off curves rather than hide them under shapeless fabrics. I love that we can now find more fashion-forward items for plus size Pinays, as well as the good ol' basics for corporate and casual wear. I know I sound like I'm promoting, but I just can't help but be enthusiastic whenever I find new (or newly-improved) shopping avenues for plus-size ladies! Love that dress & it has a touch of orange which is my fave color right now and it fits you well. I love the dress on you. SM is having their clearance sale,right? Hope I can find a good dress too. Yes! Too bad I haven't had the time to shop yet. I can see why you like this dress so much, it looks FABULOUS on you! I love how it hugs your curves and the print is beautiful. dress makes you look younger and chic! totally compliments you. Oh man, you look so adorable! :D love the orange. That dress looks SO SO fabulous on you! I soooo love that dress...it hugs your curves in all the right places! The floral dress here is as lovely as your smile. For lack of a better term, you blossom with beauty with this floral dress. Pretty flats as well. Very nice outfit!